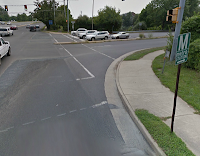 Last night the Vienna Transportation Safety Commission agreed to work with the Fairfax County Bike Coordinator, Charlie Strunk, a Town resident, to improve the existing bike route signage, based on public comments received at the meeting. They agreed with the chairman that it is best to make sure the initial phase is done well before moving on. Once the Town is satisfied with the existing signage they will begin signing an expanded bike route network in the second phase of the project. Bob McCahill of the Bicycle Advisory Commission submitted numerous detailed comments about the current signs. The BAC is currently not meeting pending a review of their mission by the Mayor and Town Council. Several of Bob's comments involved the need for a few additional signs to help route cyclists. He also suggested that more wayfinding and destination signs be used. 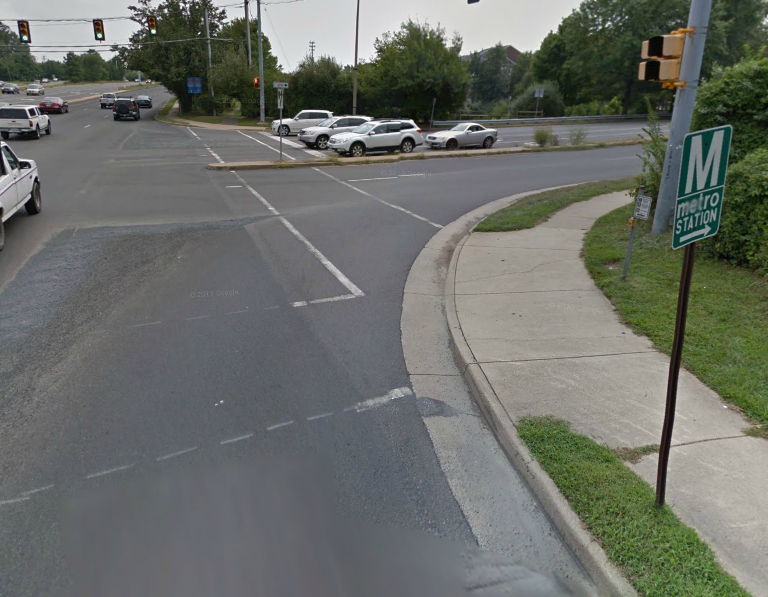 Need signs at important intersections of the W&OD Trail leading to major destinations. Signs should show direction and mileage to destinations and should be bi-directional (to and from Vienna). I think the standard green and white bike route signs work better than the unique Vienna bike route signs. Incorporate Vienna bike routes into the Tysons microfiber bike route map. Install a kiosk at the Town Green showing information about the bike routes including a map. Distribute handouts/maps of the bike routes at W&OD Trail kiosks, Vienna Community Center, merchants, and so forth. Develop some scenic or historic signed bike routes/loops highlighting interesting sights. We learned that Vienna Police have increased patrols on the W&OD Trail after a recent groping incident was reported by a female jogger near Talahi Rd SE. Route signs will soon appear on Cottage St, a popular bike route leading to the Dunn Loring Metro station and the Merrifield area. It wouldn't be a bike meeting if someone didn't discuss scofflaw cyclists. J. Leonard Ignatowski said that he was a pedestrian and driver advocate and that if cyclists want rights then they need to stop at stop signs (of course all motorists stop at all stop signs and at red lights when turning right). Motorists don't need signs to tell them where to go so why do we need all these bike route signs (I see three driver wayfinding signs in the image at the right of the Nutley St/Virginia Center Blvd intersection, and it was pointed out that cyclists need to know where the safe routes are located), and the classic, I pay gasoline taxes but cyclists get a free ride (we all pay taxes used to fund roads, especially local roads). His was a lone voice. Other commissioners seemed very supportive and willing to help cyclists find safe, convenient ways to navigate Vienna's streets. Kudos to the Town for implementing their bike route network and continue to refine it. We look forward to riding in a more bike-friendly Vienna in the future.